The Give Form Grid Block provides a way to add a grid layout of multiple forms into posts and pages using the new WordPress editor. All of the configuration settings are built right into the block editor. The donation form grid with modal enabled allows for quick giving. Say you would like a page to display a number of your site’s donation forms in a nice easy-to-see way. This will help your donors more clearly decide which form to donate to. This block can display a modal window donation form that pops up, or redirect your donors to that form page. Donation goals and featured images can be added to help convey the need for each form. When the Form Grid block is selected all of the forms on the site will display within the block. Using the configuration settings will control which forms show and which do not. This setting controls the maximum amount of forms per page of the form grid. When the amount of forms is exceeded, pagination takes over and displays the forms across multiple pages. Page controls are added to the bottom of the form grid for donors. Specify which forms to include based on their form ID. Form IDs can be found on the “All Forms” page by hovering over the “Copy Shortcode” link. Use this field to include all forms except for those listed in this field by their form IDs. Includes forms based on the form category they are associated with. This setting accepts a comma-separated list of category IDs. Category names and slugs are not currently supported. To learn more about form categories visit here. Includes forms based on the tags that have been assigned. This setting accepts a comma-separated list of tag IDs. Tag names and slugs are not currently supported. To learn more about form tags visit here. 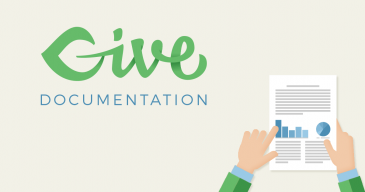 Note: To learn more about taxonomies within Give, click here. This setting controls how many columns wide the form grid will be. Utilizing “Best Fit” will assign the number of columns best suited for the available space and form grid configuration. This setting either shows or hides the form titles. Chooses whether to show the form excerpts. For more information on the form excerpts click here. Controls whether or not the form goals are displayed. For more information on form goals click here. Decide whether to show the featured image associated with the forms. Control whether selecting a form from the grid displays a modal window on the form grid page for your donors to process a donation, or if they are redirected to the forms URL page to complete their donation.